A networking conference in the middle of the ocean sounds like an outlandish pipe dream, right? Well, we’ve managed to turn this dream into reality. 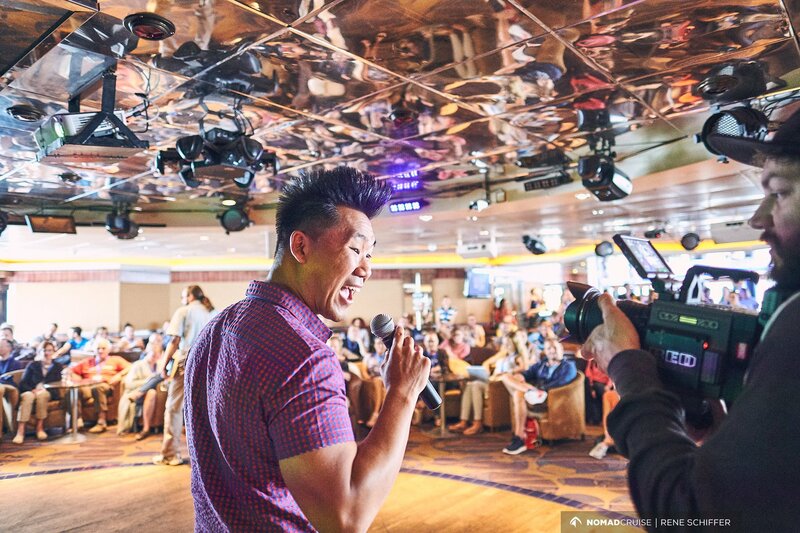 Of course, using a cruise ship as a conference setting is amazing in itself, but what makes Nomad Cruise even more special is our unique conference program. 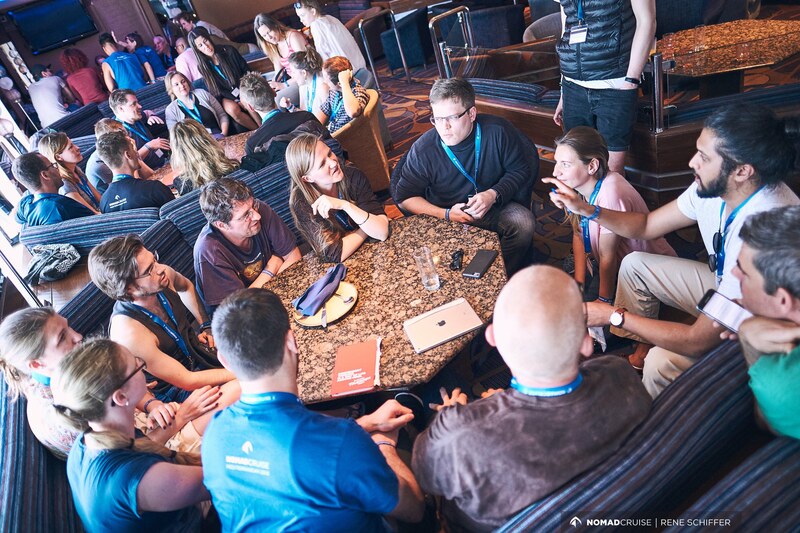 Nomad Cruise is a skill-sharing conference, and this means our community is based on the principle of knowledge sharing and an openness to learn. We spread our ideas freely and support each other in achieving each of our goals. This is where you and the rest of your nomad tribe come into the picture! With hundreds of us on one boat, there is an insane amount of knowledge and skills onboard just waiting to be shared and absorbed. To ensure we all benefit from each other’s ideas and skills, we have created 5 formats which aim to help us impart and glean as much information from each other as we can. Every conference day will kick off with 3 Keynote Addresses. These speeches are designed to hold value for our entire community and will last approximately 30 minutes each. Keynotes will be held by very experienced speakers with tons of knowledge on their subject of expertise. You will be enlightened by motivational messages, general business thought-starters and personal development perks. 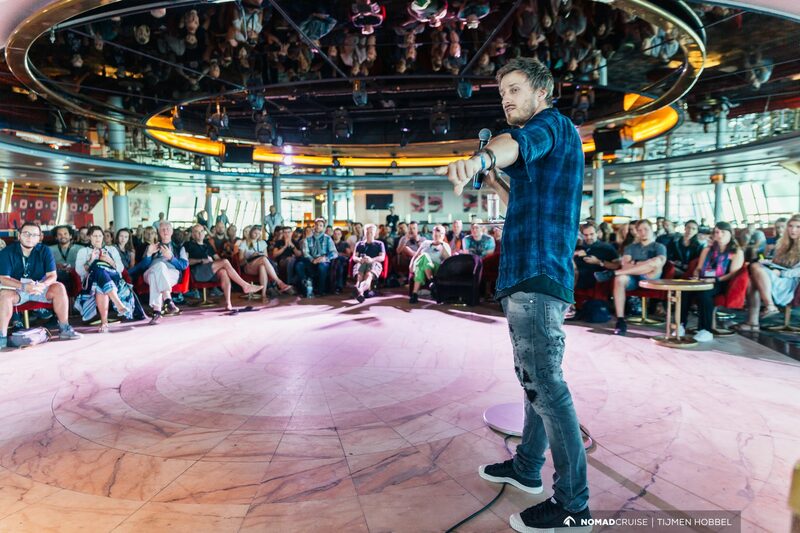 We really encourage all Nomad Cruisers to attend these fascinating Keynotes, we guarantee you will be touched, inspired or amazed – all before lunchtime! Talks are the real meat and bones of our conference and are more subject specific. Talks usually last approximately 60 minutes each, allowing the speakers more time to really delve deep into their chosen topic, promising you a detailed immersion into the subject matter. We like to keep attendance between 50-80 people and it works on a first come, first served basis, so make sure you’re on time for the talks you’re dying to see. This also means that Talks will take place in a more intimate setting than the Keynotes. Talks cover almost every subject under the sun, from international tax law and cryptocurrency to photography and house-sitting mastery. 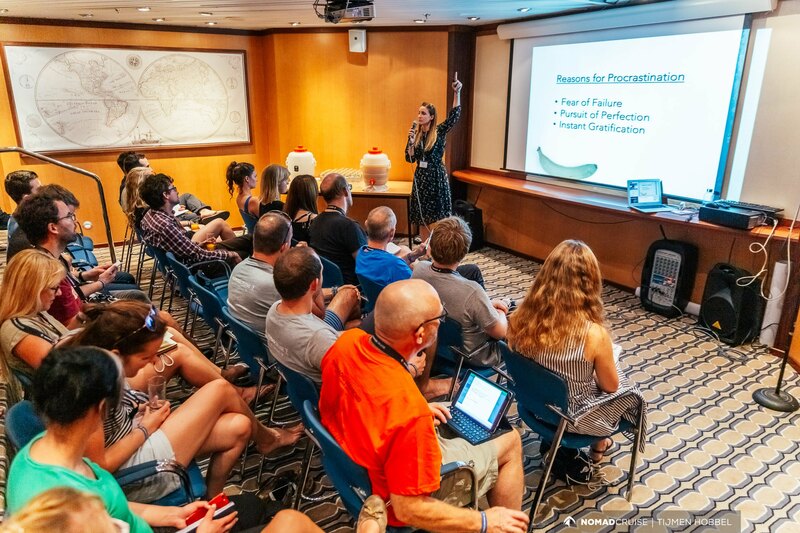 Our speaker list is comprehensive and there are so many Talks to choose from so you can be sure you’ll find something of value, either associated with your field of interest or just ideas that you really want to know more about.erience. .
Our Workshops have always been a great success and continue to be a favorite among our cruising community. Workshops are your opportunity to participate actively in a fun and supportive environment! The sessions will take place after lunch on conference days and we aim to accommodate small groups of 30-50 people. In these intimate, 90 minute sessions, the workshop facilitator is able to provide you with hands-on experience as you set about particular tasks in groups. Workshop themes aim to assist you with new and unique ways to overcome challenges you might be facing in both your personal and professional spheres. You’ll gain vital practical experience and professional guidance on how to implement new ideas, and you’ll even get to look at your own business or personal situation and adapt your recently acquired skills to overcome these hurdles. During Workshops the facilitators will work closely with you and impart tips and tricks that will allow you to better your skills set. Specials are usually pretty active sessions which involve a lot of people. Think ecstatic dancing, salsa classes, and meditation. As many as 200 people can join and they usually hosted in larger areas, such as the disco venue. These sessions have been very successful in the past and they’re often the events which help nomads build true bonds with each other. We select experienced nomads to lead these sessions to ensure you get the most out of each one. Have you ever attended a deep connection workshop, a speed networking event or learned about emotional blockages and how to release them? If not, this is your chance to experience something unique and invigorating for your mind, body and soul. Specials take place in the afternoon and last up to 90 minutes each. When you leave the room expect to feel lighter and happier – these are what we like to call ‘feel good’ sessions. Meetups are another cruiser favorite and have been highly successful since we added them to the program. Meetups are informal gatherings held in small, intimate groups of around 10-15 people. The best part? Anyone can host a meetup! If you have a cool skill, idea or talent you’d like to share with your fellow nomads then go right ahead! We’re all about sharing skills and knowledge with each other so we can all benefit. Every topic is welcome, from learning Italian to how to master Oasis’s Wonderwall on guitar. You can arrange your Meetup at any time in between the scheduled conference. 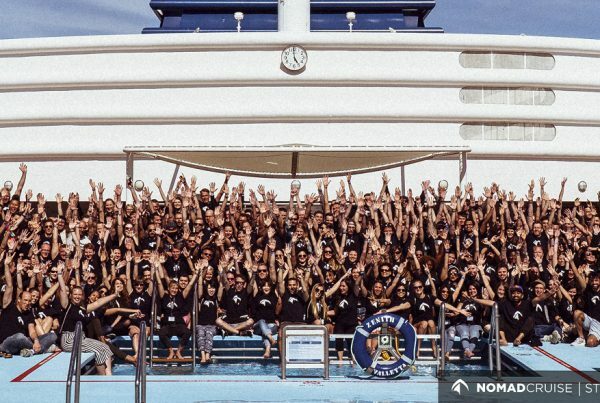 It’s a really great opportunity to share your experience and opinions with like-minded people and an amazing way to get the most out of your Nomad Cruise experience! 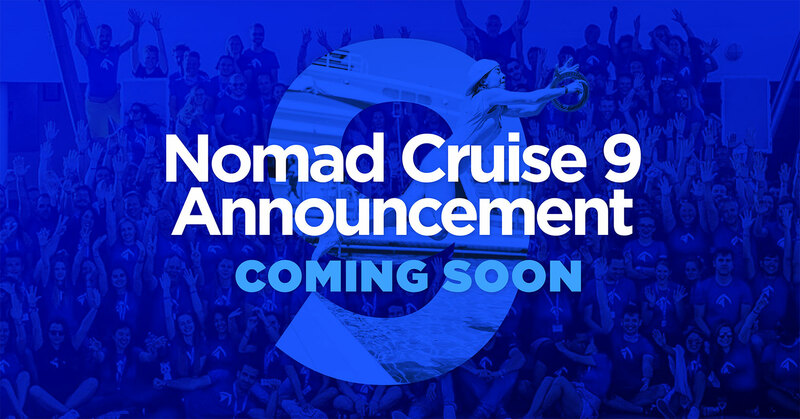 So, there you have it – this is what makes Nomad Cruise so special. The aim is to expose you to loads of new and fascinating ideas from incredible individuals, covering the widest range of interesting topics. It is impossible for you not to find something which tickles your fancy. The only difficult thing is trying to choose which Talk, Workshop, Special and Meetup to attend! 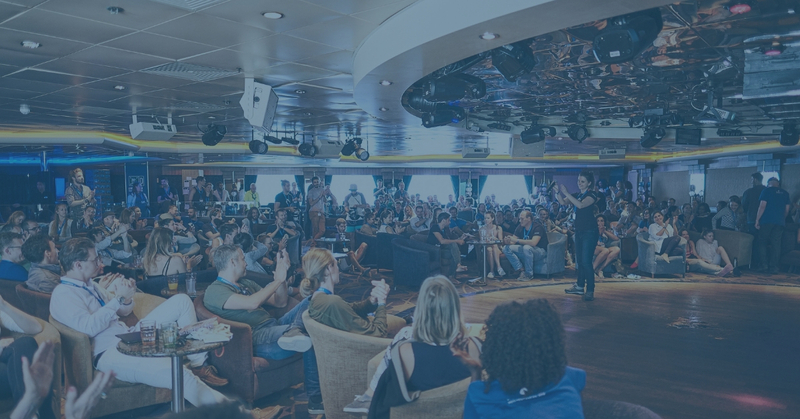 Check out the conference program for Nomad Cruise 8 and read up about our incredible speakers and workshops facilitators. 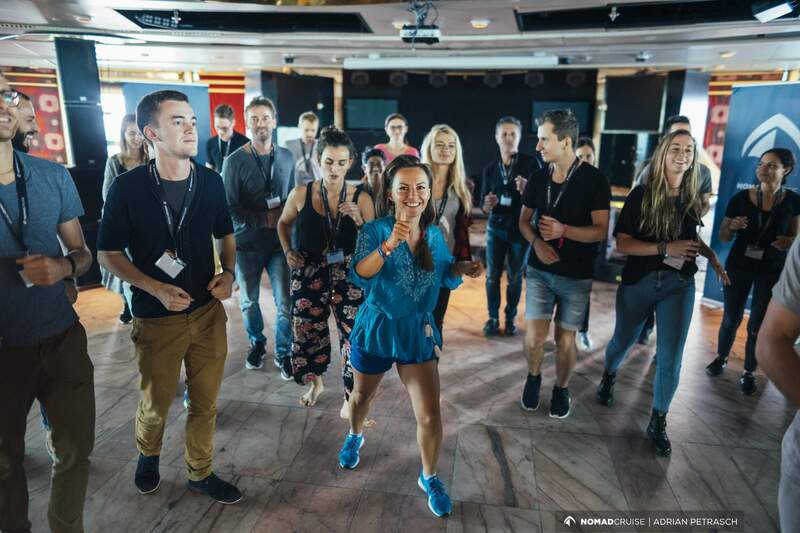 We encourage everybody to share their knowledge, experience and skills – it doesn’t have to be on a stage, you can always organise a meetup with a few people or even do a one-on-one session with your cabin mate, new bestie or dance buddy. 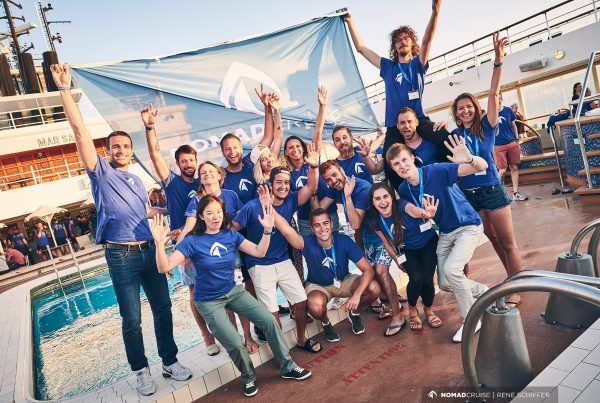 So, buckle up and get ready to join us for a journey of a lifetime as you get inspired by a bunch of like-minded nomads while sailing the seas on a cruise ship!